To the website of the research project "Renewable Energy Regions: Socio-Ecology of Self-Sufficiency". 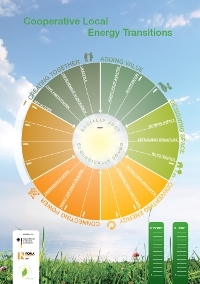 Key results for the practical implementation of the cooperative local energy transition were published by the project team in the spring of 2013. 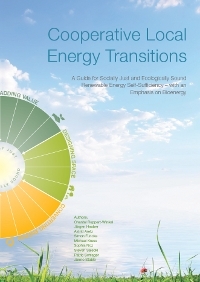 This includes a "Guide" describing the of opportunities for action in various fields as well as an "Energy Compass" on which progress in these fields, can be documented. Other work material for practice created within the project and a list of publications are also available. On 5th of March 2013 the conference "RE-Regions: Social and Ecological Renewable Energy Self-Sufficiency - Practice Meets Science" took place in Berlin. At the conference the project team presented its findings and showed opportunities for local actions seeking a socially just and ecologically sound supply from renewable energy sources. Local best practice examples illustrate how the energy transition is organized locally. There is documentation of the conference including a selection of individual presentations. The main phase of the project began in May 2009 and lasted until April 2014. This website documents information about the project and the main results. The page is no longer updated. For more information, please visit the website of the Centre for Renewable Energy/Working Papers.